Artwork on display for the Celebration of Psalms. Church of Peace concluded its “Year of the Psalms” with a “Celebration of Psalms” on November 25, the final Sunday of the church’s liturgical year. 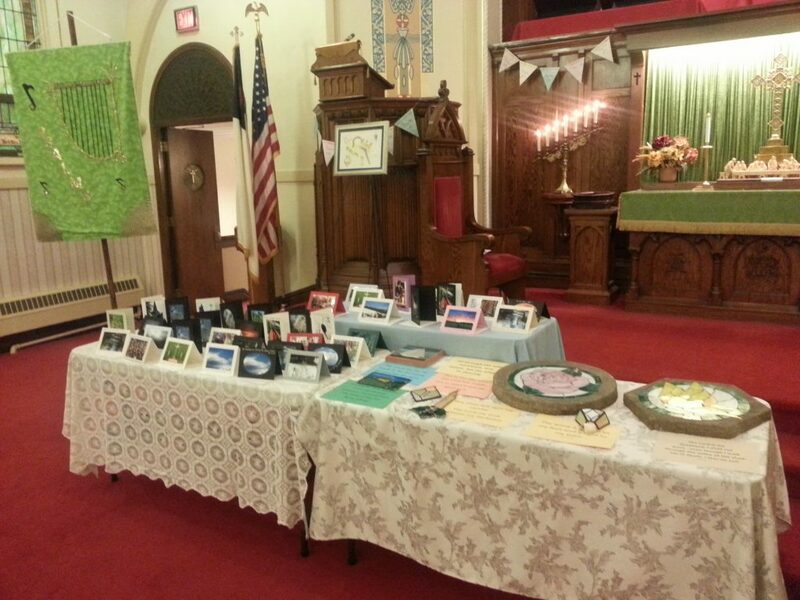 Artwork created by church members for the Year of Psalms was on display. The flags on the banners around the chancel each commemorated one of the Psalms used in worship during the year. The banners were made by Jeanine Carlson. A liturgical banner and a painting each featured visual symbols from the Psalms. The banner was made by Bea Anderson. And the painting was done by John Boyle. 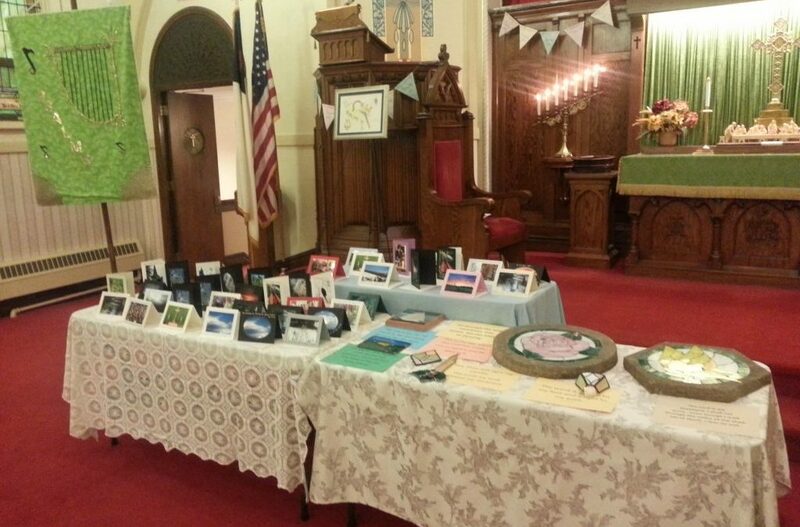 Mary and George Oelschlaeger created greeting cards and stepping stones inlaid with stained glass featuring photos and images inspired by the Psalms. Because of an unusual record breaking November snowstorm, many church members were unable to attend the service. For those who missed the service, the Order of Worship appears below, along with some notes about the Psalms composed by Mary Kae Waytenick. One: The heavens are telling the glory of God; the firmament proclaims God’s handiwork. Many: Day to day pours forth speech, and night to night declares knowledge. One: Let the words of my mouth and the meditations of my heart be acceptable to you, O God. Many: Let the words of our mouths and the meditations of our hearts be pleasing to you, O LORD, our rock and our redeemer. Enter, rejoice, and come in. Enter, rejoice, and come in. Today will be a joyful day. Enter, rejoice, and come in. Open yourself to the song. Open yourself to the song. Today will be a joyful day. Open yourself to the song. 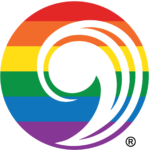 Open your hearts everyone, Open your hearts everyone. Today will be a joyful day. Open your hearts everyone. This is the day, this is the day that the LORD has made, that the LORD has made. We will rejoice, we will rejoice, and be glad in it, and be glad in it. The Psalms are the prayer book and song book of the Bible. The title comes from the Greek word meaning “song.” One can say that the Book of Psalms is the largest and oldest collection of song texts ever assembled. The poems are divided into several categories, including praise, lament, confessional, and testimony. Psalms, also known as the Psalter, is a collection of 150 songs and poems. They are divided into 5 sections. Each book ends with a Doxology. Some Psalms are written for solo voice and some for choir. The variety of topics found in the Psalms echoes the feelings on people—long ago to today. They can serve as a blueprint to developing a relationship with God. Psalms were used as structure to create new compositions. The Psalms were sung during the Hebrew exile in Babylon (587 to 539 B.C.). King David, also a musician, played the flute and sang. Many of the Psalms are credited to David, but he did not compose all of them. We cannot duplicate the sounds of the Psalms because none of the actual notes have survived, only the texts. This gives composers a lot more latitude for interpretation. Jesus grew up learning the Psalms from his mother and religious teachers. He quotes them while praying and on the cross. Jesus was a master at taking a simple medium like dirt to illustrate a point. We can do the same thing using beauty. The Holy Spirit uses beauty to provide a window to God. It allows us to talk to God and each other. Thanks to our Psalms Committee: Tom Bengtson, Jeanine Carlson, Georgia Steeber, Mary Kae Waytenick, Jessica Waytenick, and Karen Young. 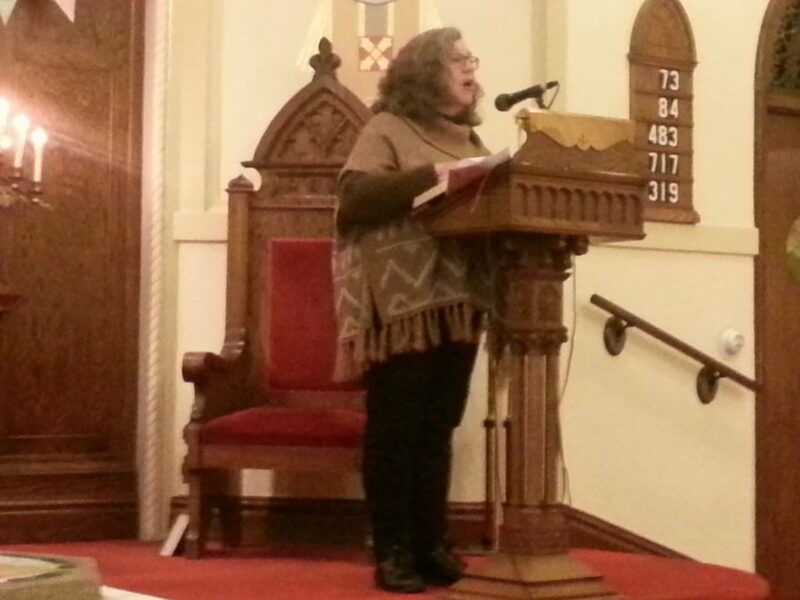 Karen Clark recites Psalm 100 in Navajo and English.